At the moment I am working on a custom order for a bride-to-be. 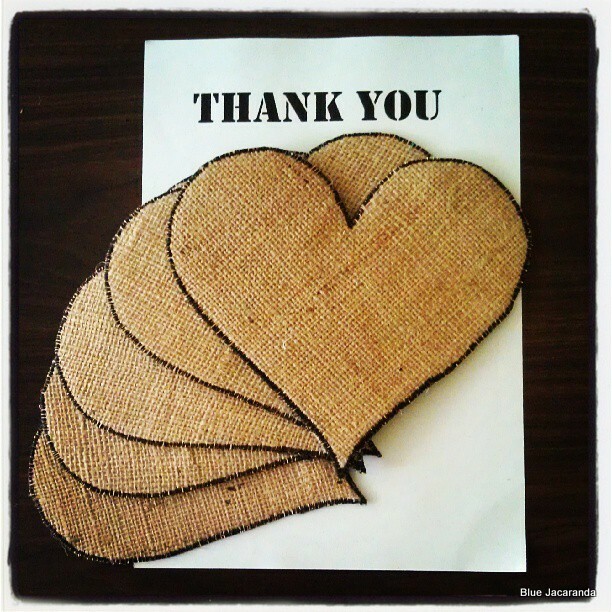 She has asked me to make a personalised Burlap Heart for each of her five bridesmaids, as a way to say thank you. Isn’t that a lovely idea? This entry was posted in Upcycling and tagged burlap on May 14, 2013 by bluejacarandadesign.